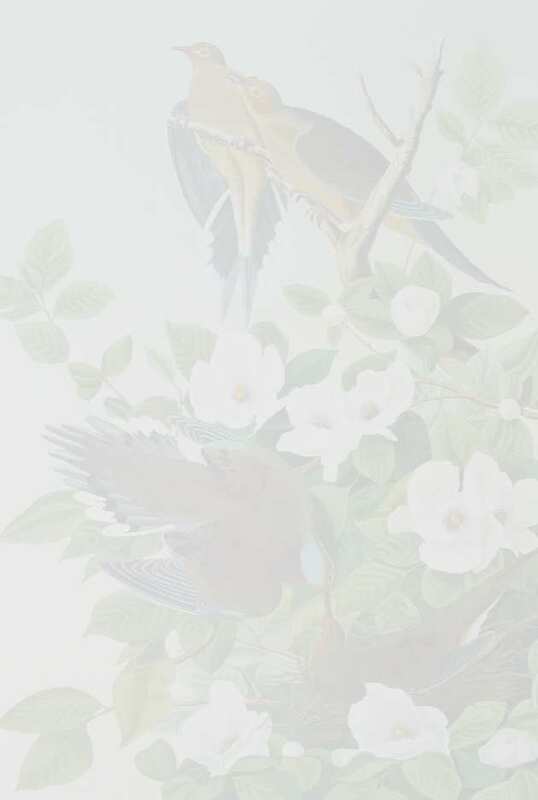 In the early spring of 1832 Audubon and his assistant George Lehman stayed at a home of John Bachman in Charleston, South Carolina. 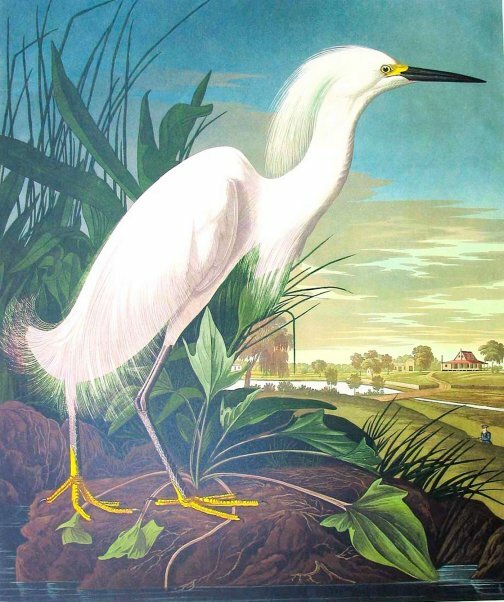 By March 25, Audubon wrote, thousands of snowy egrets had arrived there and were seen in the marshes and rice fields, all in full plumage. He probably painted this magnificent egret that same day, and Lehman added a landscape of a South Carolina plantation; the tiny figure of a hunter appears at far right. Select proper print with pull down menue to purchase.